Wet Season Music Series runs October – March and showcases a local musician each month. It is free and fun for the entire family! 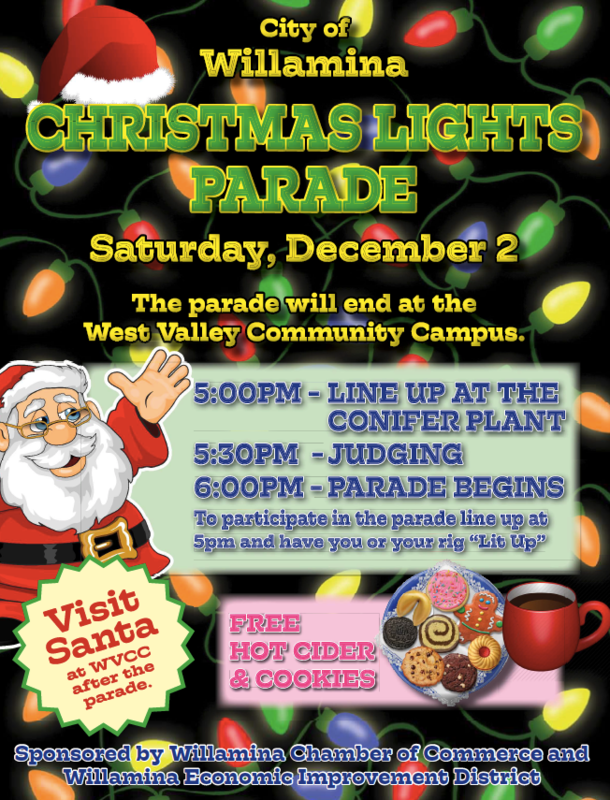 In December we will celebrate the holiday season on December 2nd with Santa, free hot cider and cookies and carols from the Parmeter Sisters directly after the Christmas Lights Parade. New this year we are hosting an adult winter arts program! Once a month we will have a different teacher join us for instruction. Our December class is Crafting Felt with Andrea Wycoff! Join us from 7:00-9:00 pm on December 1st to make felted ornaments for your holiday tree. 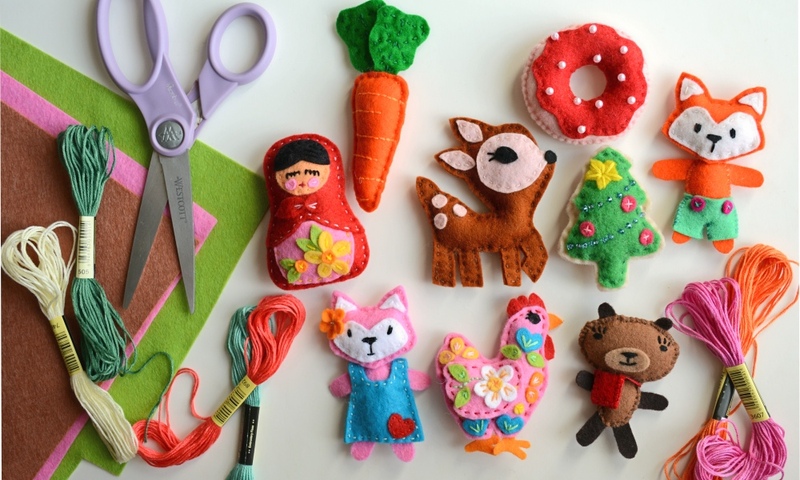 Patterns to choose from will include : felt donuts, Christmas cookies, messenger bear, deer, colorful foxes, french hen and matryoshka doll (Russian nesting doll). All materials will be provided. You will need to pre-register by purchasing a ticket here. Stay tuned for details on our January class which will be embroidery with Susan Vanderhoof! 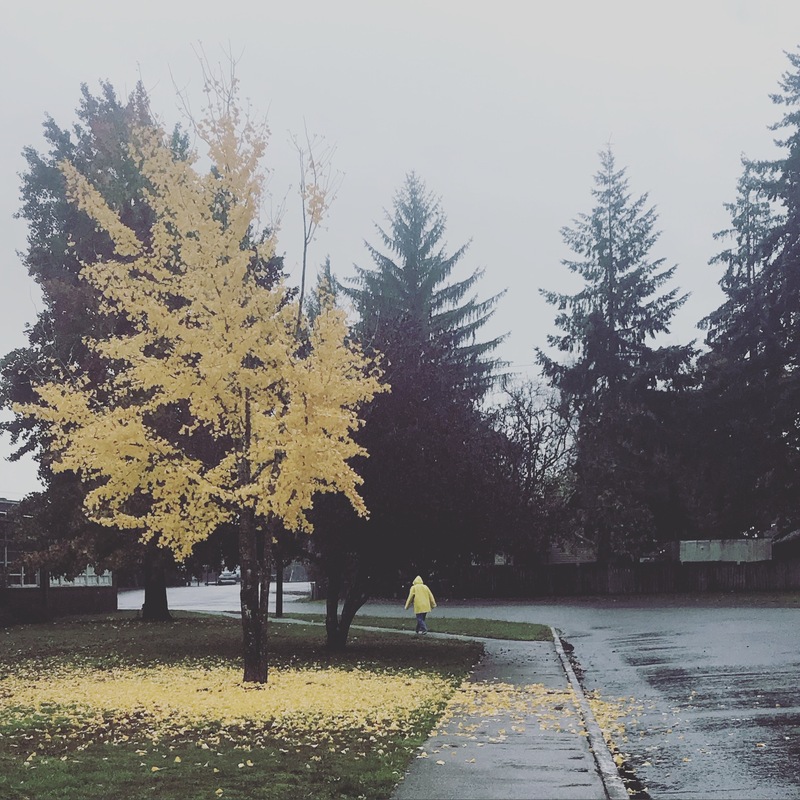 Willamina Public Library will hold it’s 2nd annual winter celebration in the auditorium of the WVCC this year on December 21st. The Story of Ebenezer Scrooge (OR: A Christmas Carol) by The Traveling Lantern Theatre Company will be performed from 5pm – 6pm. Ebenezer Scrooge is a nasty, mean and snarling old geezer, with no care for anything other than his money. His one and only friend visits him as a ghost, and starts him on a journey that melts his icy heart, and teaches him the joys of caring for, and giving to others. From 6pm – 7pm STEM Activities : Christmas Coding Ornament Making, Bookmark Making, Gingerbread Holiday Town Building, and more! Quilting Classes Fridays at 9:30am – 12:30pm in Room 7. Free! SpinCycle is back! Saturdays at 7:30am and Wednesdays at 6:30pm. $5 for a drop in. Wet Season Music Series runs October – March. Join us for the Parmeter Sisters on December 2nd from 7pm – 9pm. FREE! Monthly Work Day Third Saturdays beginning at 9am. We provide lunch! Join us December 16th for an hour or all day! Check our calendar for updates and changes or follow us on Facebook. At our November work day, thanks to the helping hands of our community, we were able to spiff the place up for Wet Season Music Series and complete general maintenance and cleaning. WVCC exists to provide space for various public and private events, classes and meetings. Currently our athletic fields, the auditorium, gymnasium, community art room and 2 classrooms are available for rent! email us at rentals@westvalleycommunitycampus.org for rental rates and applications. If you are able to contribute a tax deductible donation to our organization please mail a check to PO Box 491 Willamina OR 97396. Or go to our website to donate online. Even a few dollars help support our mission!